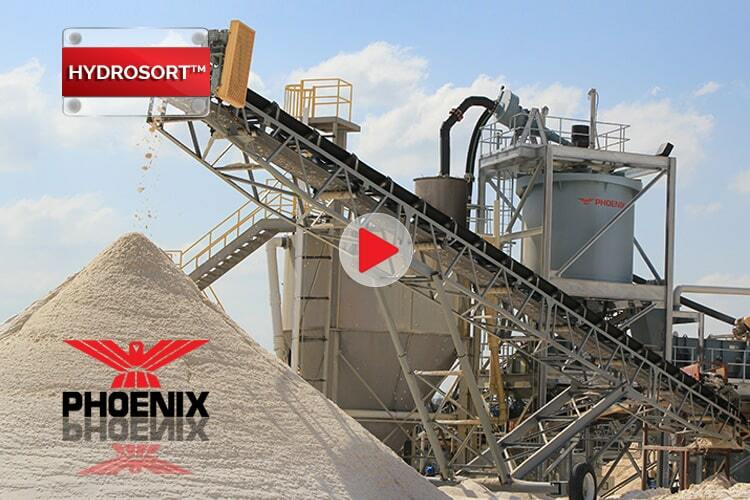 PHOENIX HYDROSORT™ Hindered Settling Classifiers excel in a number of mineral processing roles including sharp size classification, density sorting, sand washing, and rinsing of granular solids. 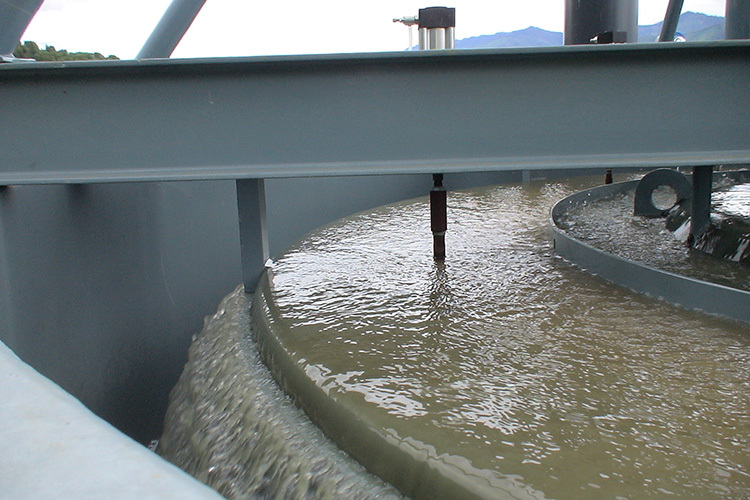 Precise overflow slurry density tracking and the controlled flexible addition of upward current water provides easy adjustment of the classifiers operation to meet product specifications. 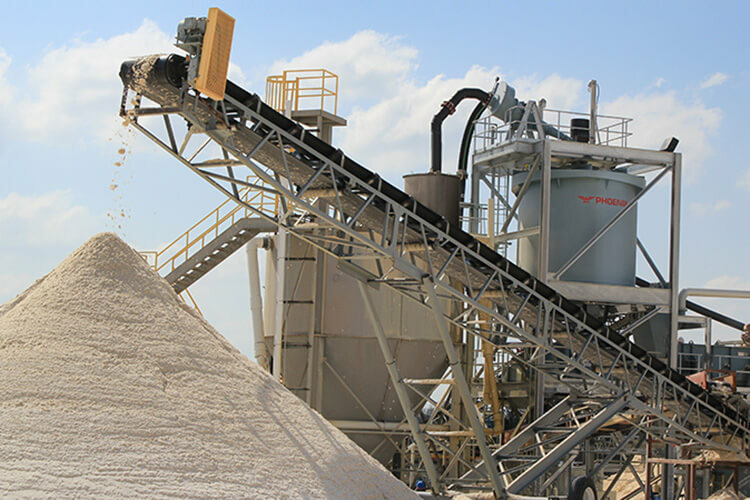 The classifiers cut size can be varied over a broad size range, while density sorting of light weight contaminants from sand, silica sand, and heavier minerals is accomplished. 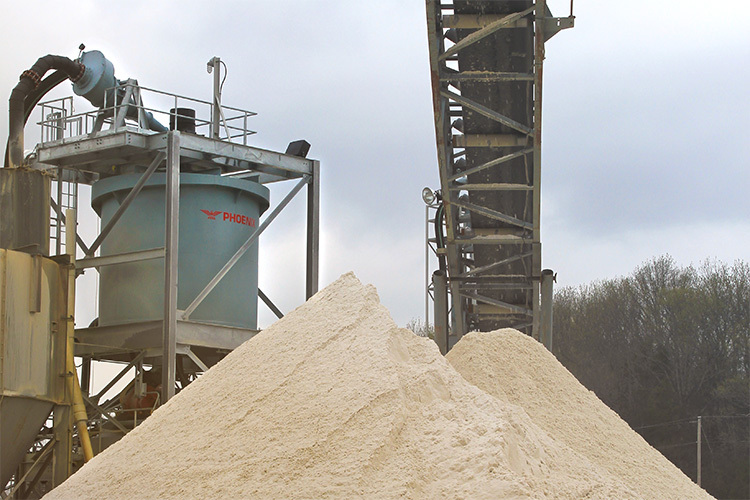 The HYDROSORT™ Classifiers consistently produce high quality spec sand from variable quality raw material and are an integral component to a plants sand processing equipment. 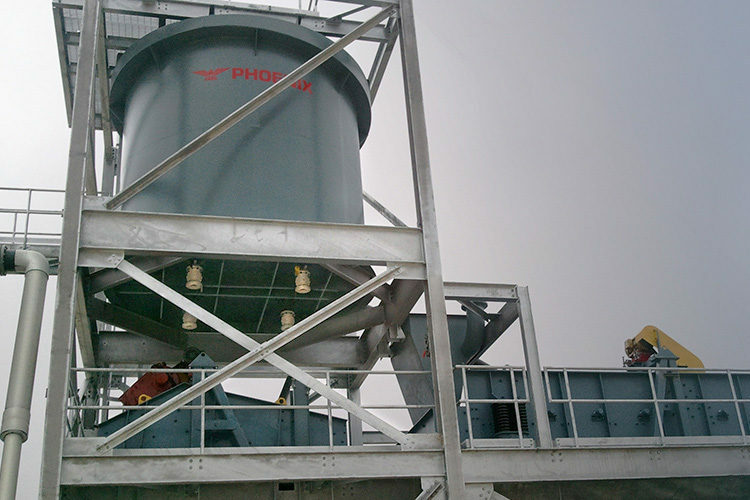 Slurry is fed into the top of the Classifier where it encounters the fluid bed of particles near the cut size. 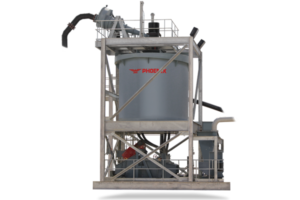 Fine sand particles resist joining the fluidized bed and discharge through the overflow launder. 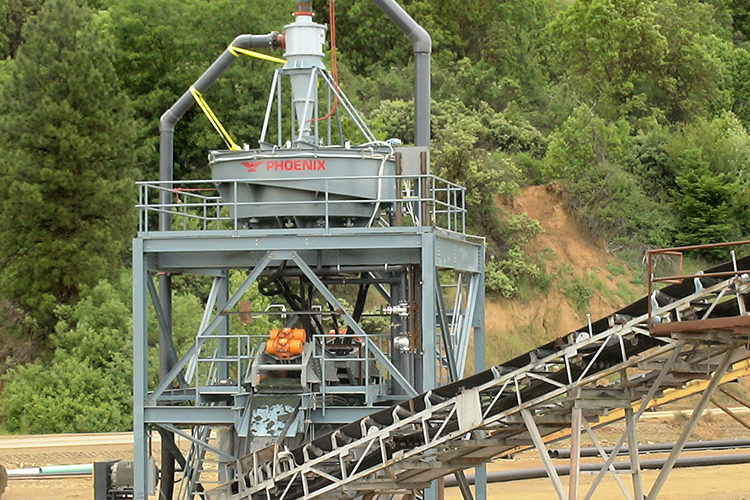 Coarse sand is discharged through valves at the bottom of the unit. 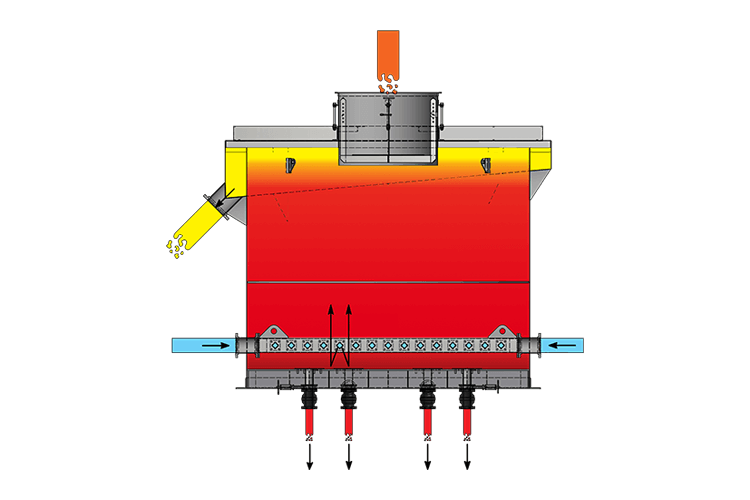 Water is continuously fed to the unit. Water inlets provide the upflow of water.